Blazer Apartment is a two bedroom serviced apartment in factory conversion located in the Golden Triangle area of Norwich. 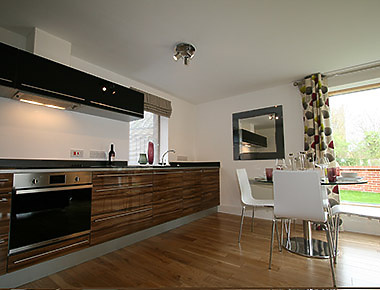 Which is within easy reach of Norwich city centre and the University of East Anglia. Blazer apartment is the perfect choice for a comfortable, inviting home away from home, whether your stay is long or short term, for business or leisure. Open plan kitchen/diner/living room. Approx 7m x 3.5m. 12” high ceilings – south facing. Please note there is a strict no pets and no smoking policy at the apartment.